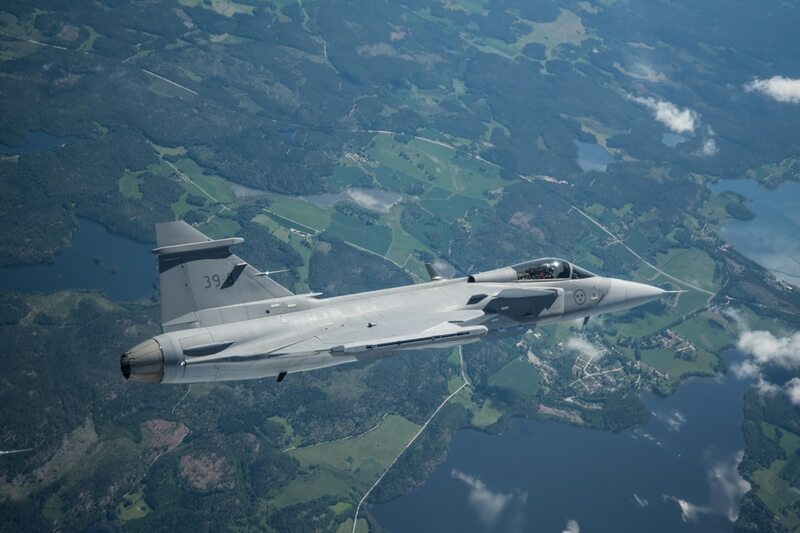 WASHINGTON — Sweden will not put forward Saab's Gripen E for Belgium's fighter contest, the country's defense ministry announced Monday. "This would require a Swedish foreign policy and political mandate that does not exist today. Therefore Sweden and the FMV choose not to submit an answer to the Belgian request," the notice stated. The decision is a blow to Sweden's major defense firm Saab. Earlier this year, company officials said it hoped to propose the next-generation version of its Gripen fighter jet, the Gripen E, which made its first flight last month. Lockheed Martin’s F-35, the Eurofighter Typhoon and the Dassault Rafale are the likely remaining competitors for the Belgian competition. Of those choices, the F-35 will be the likely victor and could be Lockheed’s only new F-35 sale this year, said Byron Callan, director of Capital Alpha Partners, an investment consulting firm. "As one of the four countries that purchased F-16s in part of the ‘deal of the century’ in 1975, Belgium is the only country that has not yet reached a decision. Denmark, the Netherlands and Norway have all selected the Lockheed Martin F-35," he wrote in an emailed newsletter. Saab is the second major aerospace company to pull out of the competition. Boeing withdrew the F/A-18E/F Super Hornet from the running in April, decrying Belgium’s requirements as unfairly slanted toward the F-35.